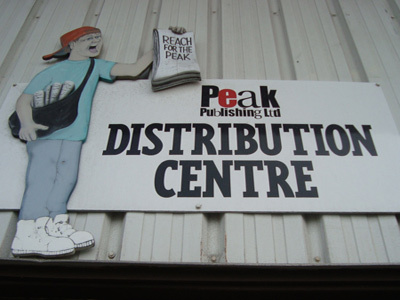 Peak Publishing resides at 4400 Maine Avenue in Powell, River, British Columbia, Canada, overlooking the intercoastal waters of the Georgia Strait. The Powell River (B.C.) Peak is a hyper-local community newspaper engaged in reporting about and supporting its small, geographically isolated region. Powell River is a charming, blue-collar, inter-coastal community, which lies on the Georgia Strait, 145 km (90 miles) northwest of Vancouver, B.C. The community has a population of 13,165, according to the 2011 census. The median age of local residents is 50, according to Statistics Canada. The community was founded as a resources extraction center, and it was hometown to one of the world’s largest pulp and paper mills, The Powell River Mill. The Mill, started in 1908, was built with an accompanying “townsite” company town, which was designated a National Historic Site of Canada in 1995. 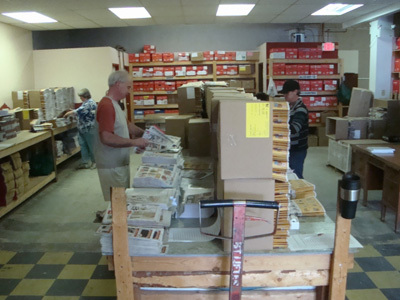 The mill is still operated, on a reduced scale, by Catalyst Paper, and the townsite is a regional tourist attraction. Powell River today is a center for hunting, fishing, water sports, and ice hockey. Hockey thrives because the community is home to the Powell River Kings, a regional Junior ‘A’ hockey power (BCHL Coastal Champions: 2009, 2010, 2011 & 2012). 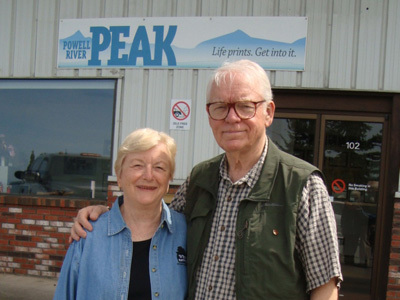 The Peak newspaper is “the baby” of Joyce Carlson, a Powell River resident who has worked in newspapers since 1970. 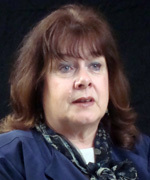 During her journalism career, she served as national president of Canadian Community Newspaper Association, 1994-1995. Ms. Carlson and her family launched The Peak in 1995. 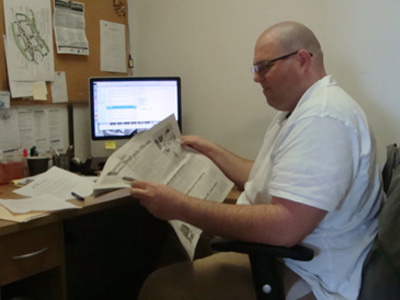 The newspaper’s main edition is published once a week, on Wednesdays. Its paid circulation is about 3,500 copies; it sells for $1.35/copy and is home delivered. 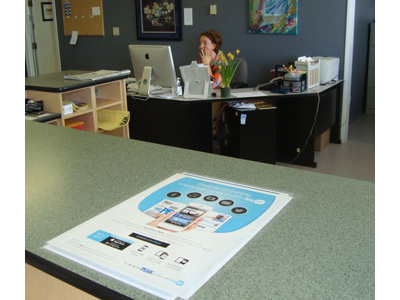 Peak publishing also prints a Weekly Shopper every Friday, which it circulates free. Peak Publishing also operates a website, PRPeak.com, launched in 1998. 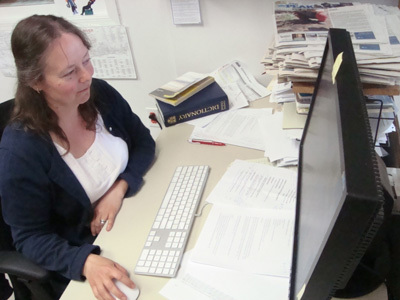 The website is viewed by about 40,000 unique visitors each month, and it registers nearly 150,000 page views, monthly, according to Joyce Carlson. 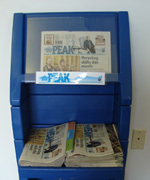 In an era of burgeoning print and online news sources, The Peak competes by offering its region timely information that “can be trusted,” according to Carlson. “People know when they see something in The Peak that they can have confidence in the information being correct,” says Carlson. Staying contemporary, The Peak also publishes a FaceBook page and uses Twitter to disseminate breaking news. 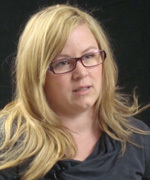 Carlson says The Peak serves its community as a partner “working with businesses and organizations to promote their events.” For example, The Peak works with the Powell River Chamber of Commerce and the local Community Futures Development Corporation to select and publicize the community’s annual Horizon Business Awards. Keeping the community informed about upcoming events is a key goal of The Peak. “That’s a really big part of what we see as our mandate,” says Carlson, “promoting things before they happen.” And the website helps to provide a record of those events. The Peak’s website provides “video and photo galleries, which enhance (the reporting) we do” about community events, says Carlson.